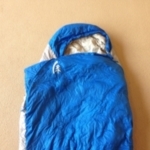 Outside of a tent, any backpacker knows the heaviest, bulkiest item in the pack is the sleeping bag. 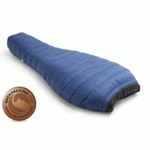 I don’t particularly enjoy cramming my down mummy bag into my pack, so I was excited to review Sierra Designs’ lightweight, highly compressible Backcountry Quilt 15 over the Presidents’ Day Weekend. 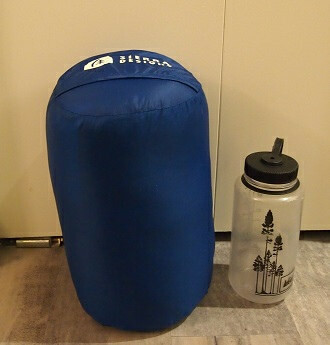 In the below photo, I just used the included stuff sack, but I was able to easily compress it further with a dry sack. And at 1lb 15oz, this little guy really doesn’t weigh much at all for a sleeping bag alternative. I would normally be wary about relying on down to keep me warm on a winter camping trip in the Cascades (Washington snow is notorious for its wetness), but the Backcountry Quilt’s 700-fill has been treated with DriDown. These duck down feathers are water-repellent! 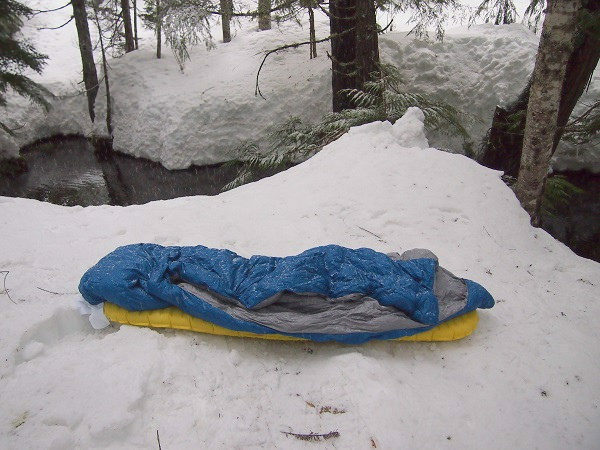 So I dragged the Backcountry Quilt outside my tent for its photo op, despite the quickly falling snow. I brushed the snow off and found no dark, wet spots at all compared to my experiences with my mummy bag. Next, I dragged the quilt into my tent for a trial run. I paired it with my go-to inflatable air pad with an R value of 3.9, and I wore a base layer, wool socks, and a wool cap. 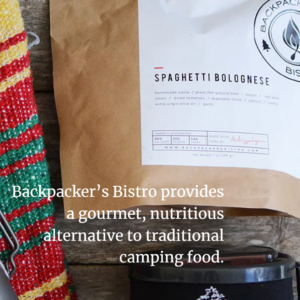 The Backcountry Quilt has a European Norm (EN) Comfort Rating of 28F, which means that 28F is the lowest temperature at which the bag will keep the average woman or “cold sleeper” comfortable. I am both a woman and a cold sleeper. As evening approached, the air temperature in the tent was clocking in around 37F — near the lower limits of the bag. I curled up in the Backcountry Quilt, enjoying the comforter-like nature of the quilt (you can wrap yourself up like a burrito). 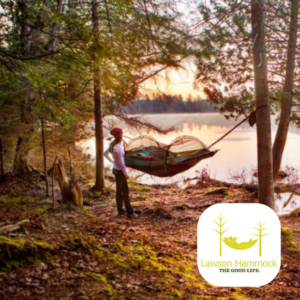 It has no zipper and is not constraining like the standard mummy bag, so if you’re a side-sleeper like me and you shift sides frequently (to give your poor shoulder with all the weight a break from digging into the ground), you’ll probably like the freedom of the Backcountry Quilt. The quilt also features a neat little alternative called the “Hide-Away Hood” for you to tuck your head into, which I found more comfortable than my mummy’s drawstring hood, which is a bit too tight for my head when I’m wearing a cap. The downside: I could not get warm. I was frigid. Even after I put my down jacket on, I was still cold, so I had to call the test after an hour and get into my mummy bag (EN rating 23F). 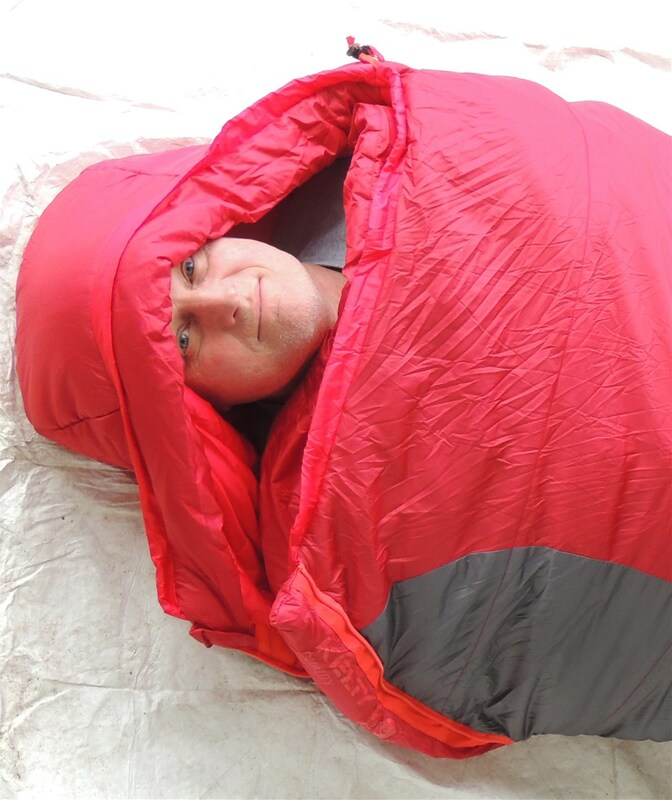 To be fair, I’ve heard that some people use sleeping pads with an R value of 5 and above for winter camping, although I didn’t feel cold radiating from below me. I wasn’t particularly toasty in my mummy bag either, just adequately warm. 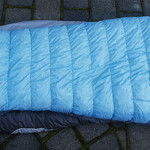 Upon further analysis, the Backcountry Quilt only has 17.85 oz of fill, but it measures 76″ long. That’s a lot of area to cover with that amount of fill; it’s stretched pretty thin. Now the thinner material makes it easier to wrap around yourself like a blanket, but it comes at a price if you’re a cold sleeper. Conclusion: I would be happy to take this bag with me spring and summer and save on pack space, but I wouldn’t want to rely on it for warmth during temperatures below 50F. 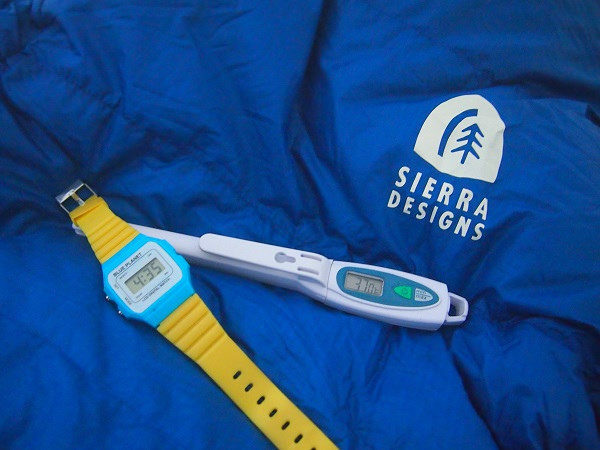 Warm sleepers may be able to take better advantage of the Backcountry Quilt’s temperature range, however.